As previously detailed on B.B, the plan to convert this historic site into a private garden and car parking space is controversial and the planning application and listed building consent attracted quite a few objections. A comprehensive report was prepared by Fife Council officials. 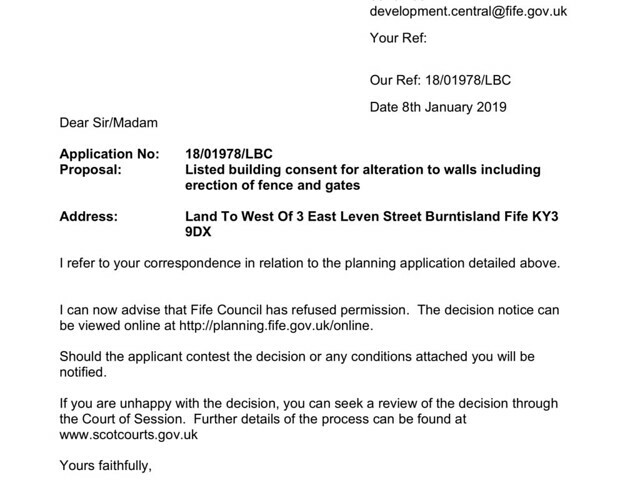 This listed the reasons that the application should be refused, including “Impact upon the Setting of a Conservation Area”. Yesterday councillors on the Central Area Planning Committee voted to go along with the officers’ recommendation by a margin of 9-4. The applicant now has 3 months to appeal. 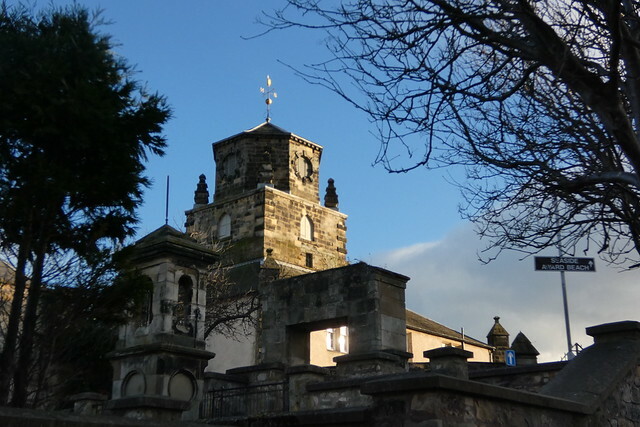 Perhaps local groups such as the Heritage Trust, Community Council, Parish Church and FAB can work together, along with the site owner (Fife Council) to produce a plan to highlight, promote and enhance this area. An interpretation panel with information on Burntisland’s religious and church history could be a valuable addition.